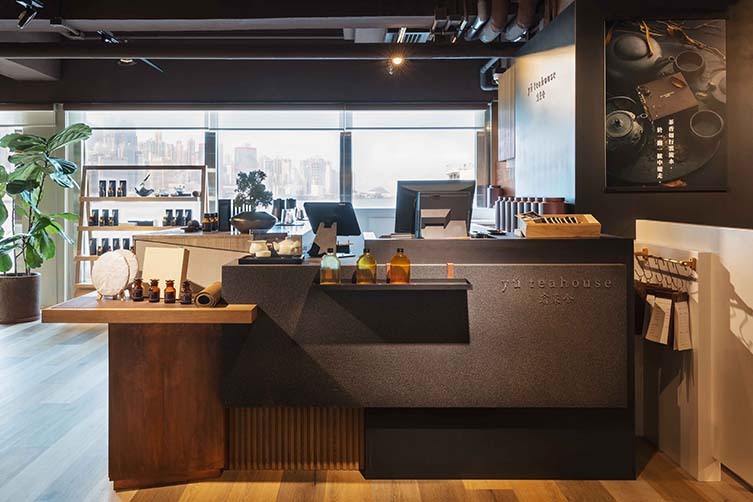 In a departure from the light and airy designs created at Little Cove Espresso and NOC Coffee Co., Hong Kong-based design agency Studio Adjective have opted for a selection of raw construction materials and darker, richer hues at Yú Teahouse; in a bid to showcase the sophisticated tea-making process and introduce Chinese tea culture to the city’s wider public. 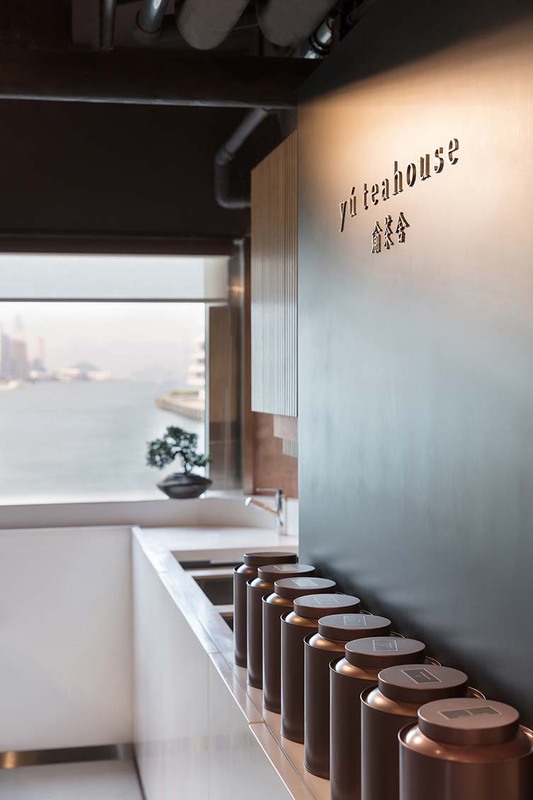 Yú Teahouse—located at lifestyle complex Eslite Spectrum in Tsim Sha Tsui, Kowloon—allows its customers to sip on an exquisite curation of teas, the techniques adopted for the preparation, brewing, and serving showcasing a culmination of knowledge gleaned from centuries of continual refinement—the Chinese tea ceremony having been practiced over thousands of years. 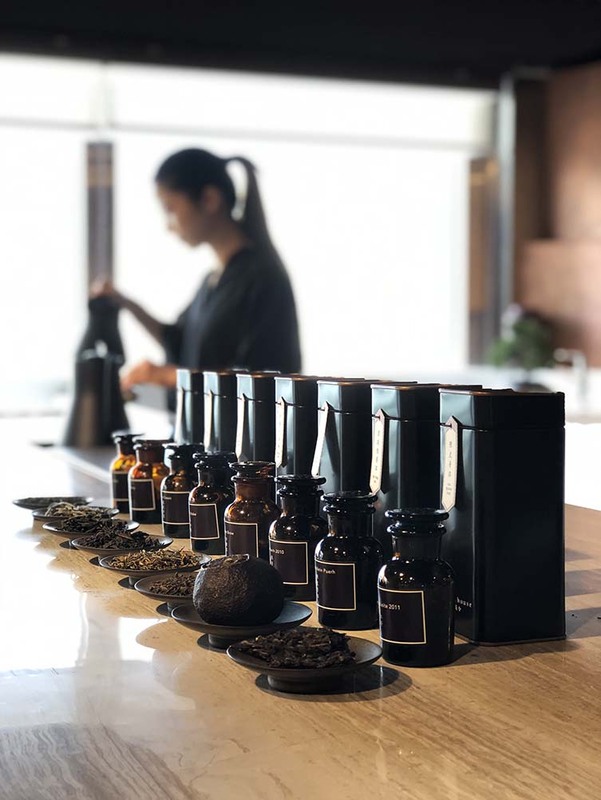 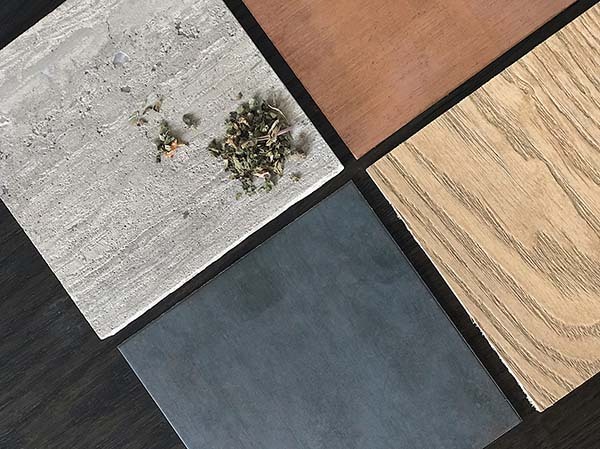 Studio Adjective looked to the natural process of the tea leaf for inspiration, each material at Yú Teahouse chosen for its authentic texture and the sensation it will evoke in customers when they see or touch it. 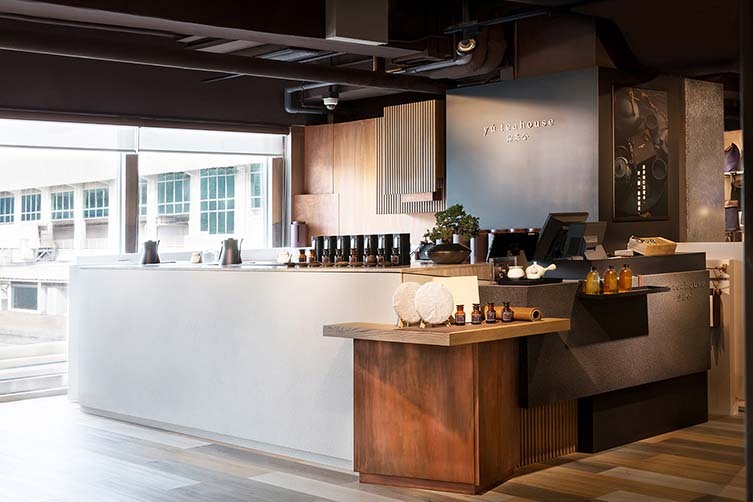 The L-shape counter is topped with marble whilst blackened mild-steel and black texture paint serve as a backdrop for a refined logo. 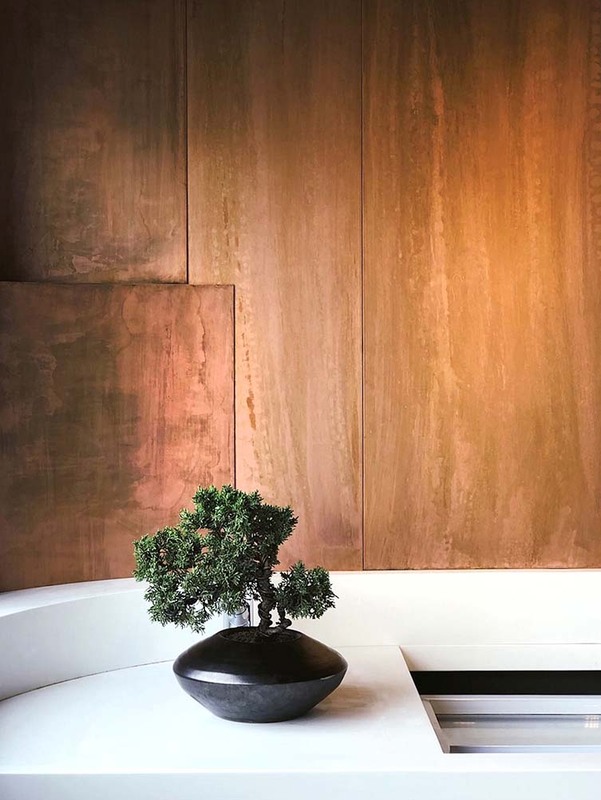 Exposed pipes have been painted on the ceiling, and the copper back wall is curved from the window to divert sunlight and create a smooth gradient of shadow. 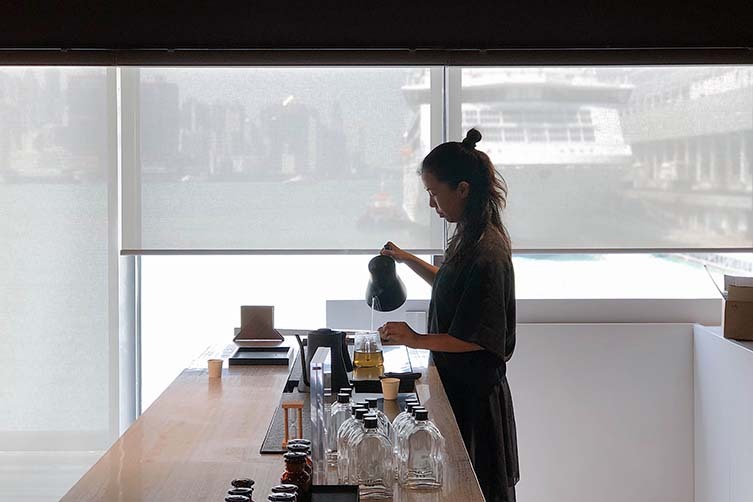 A few splashes of white—namely the front of the counter where the teas are prepared—add a contemporary freshness to this sleek and sophisticated spot. 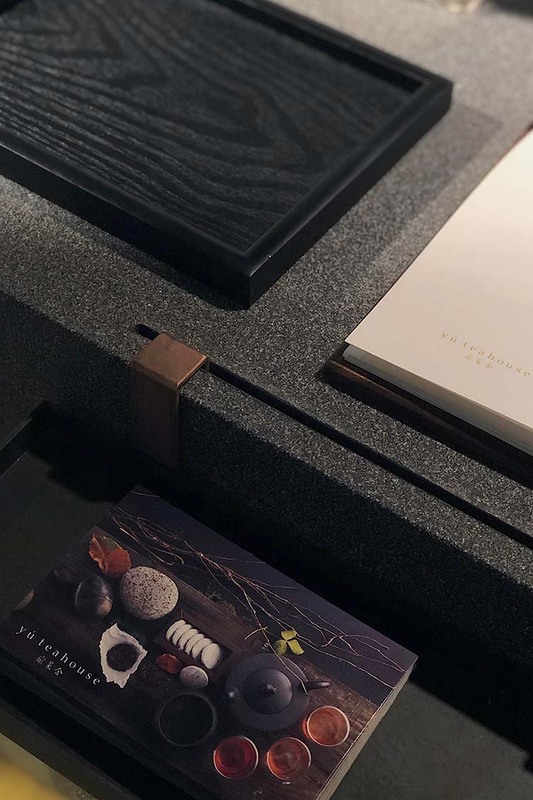 The word ‘Yú’ is homonymous to the Chinese character used for healing, and between leaves and design, we couldn’t think of a more appropriate sentiment for this rich and luxuriant coming together of aesthetics and the ceremony of flavour.